Singer, musician, composer, and rebel Peter Tosh cut a swathe through the Jamaican musical scene, both as a founding member of the Wailers and as a solo artist. He toured with the Rolling Stones and had an international hit with a duet with Mick Jagger, then toured again to equally rapturous world audiences as the headlining act. His words would cause an uproar at the One Peace concert, but then unlike fellow Wailer Bob Marley, Tosh always made his true feelings known. He was born Winston Hubert McIntosh on October 19, 1944, in the small rural village of Grange Hill, Jamaica. Like so many young island teens searching for a better life, he left home at 15 and headed for Kingston. Once there, he made his way to Joe Higgs' tenement yard, joining other aspiring youths eager for the vocal coaching lessons the singing star provided to local teens. Amongst these youthful wannabes were Bunny, Bob Marley, and the much younger Junior Braithwaite; the four, buttressed by backing vocalists Cherry Green and Beverley Kelso, joined forces initially as the Teenagers before eventually settling on the moniker the Wailers. Success was immediate; the group's debut single, "Simmer Down," was an instant hit, and the band's career was off and running. 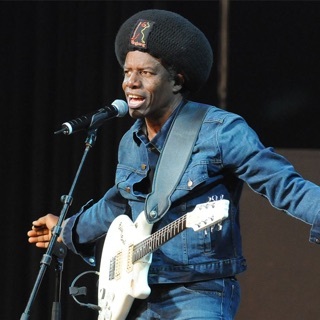 Tosh's talent didn't end with his vocal skills as he was also an excellent guitarist; his playing was first showcased in 1963 on the Wailers' single "I'm Going Home." 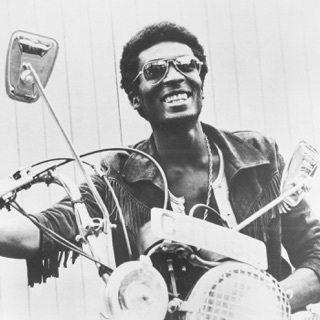 He was also a gifted songwriter, as was Bunny Livingston, which helped the band survive Marley's hiatus from the group while he went to work in the U.S. in 1966. The Wailers, by then reduced to a trio with the departure of Braithwaite, Green, and Kelso, continued on without him. During this time, the remaining duo, with Constance "Dream" Walker filling in, continued releasing singles now credited to either the Wailers, Tosh, or Livingston alone. 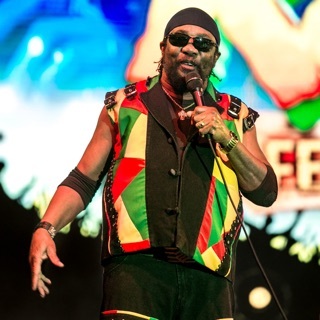 Thus, over the next year, Tosh's dance-friendly "Hoot Nanny Hoot," "The Jerk," a cover of Sir Lancelot's calypso hit "Shame and Scandal in the Family," the R&B-fired "Making Love," and "It's Only Love," a duet with Rita Marley, all arrived from Studio One. "Rasta Shook Them Up" celebrated Haile Selassie's Jamaican visit, while Tosh also offered up the rudie-fueled "The Toughest." With Marley's return, the Wailers departed Studio One and launched their own short-lived Wail'n'Soul'M label. With its demise, they returned to the studio circuit. Sessions with producer Bunny Lee went nowhere, but Lee and Tosh had a rapport, and between 1969 and 1970, the Wailers cut a string of instrumentals for the producer and released them under the alias Peter Touch. Tosh was now attempting to learn to play the melodica, and the singles chart his progress on the instrument. "Crimson Pirate," "Sun Valley," the almost psychedelic "Pepper Seed," "The Return of Al Capone," "Selassie Serenade" (actually a rather frenetic version of "Blue Moon") and more, were the end results. However, in 1971, Tosh made the momentous decision to pursue a true solo career in conjunction with his work with the Wailers. His debut single, "Maga Dog," was cut with producer Joe Gibbs. The song had initially been recorded by the Wailers with Coxsone Dodd, and in its original rhythm arrangement was suspiciously similar to "Simmer Down." Gibbs would totally re-create it, slowing the tempo down and creating a rhythm perfect for the latest dance rage, the John Crow skank. The single was a major hit and became a favorite of the DJs, with a flood of versions quickly following. The equally hard-hitting "Dem Ha Fe Get a Beating" arrived soon after. In the brief period Tosh spent with Gibbs, he recorded a clutch of seminal numbers, including "Arise Blackman," "Black Dignity," and "Here Comes the Judge." The latter track was built around the haunting rhythm from the Abyssinians' "Satta Massa Gana," but lyrically hearkened back to Prince Buster's "Judge Dread," as Tosh's magistrate tries and convicts Christopher Columbus, Sir Francis Drake, and Vasco da Gama for myriad of crimes against black people. Even on a cover of "Nobody's Business," Tosh's militancy shines through, with the line "Leave my business and mind your own," carrying a definite hint of menace in the delivery. Jumping on the current bandwagon for golden oldie medleys, the singer also delivered up a trio of rude boy hits, Desmond Dekker's "Rude Boy Train" and "007 Shanty Town," and his own, "I'm the Toughest." Tosh split with Gibbs before the end of the year, allegedly over the lack of money he'd received from "Maga Dog." The artist's retaliation was swift and the self-produced "Once Bitten" was allegedly aimed directly at the producer. That single utilized the "Maga Dog" rhythm, as did its follow-up, "Dog Teeth." 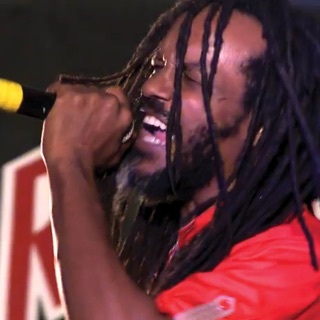 Initially, Tosh was releasing his latest self-produced solo singles via the Wailers' own Tuff Gong label, but soon the artist set up his own label, Intel Diplo HIM (Intelligent Diplomat for His Imperial Majesty Haile Selassie). The label was inaugurated with "Dog Teeth," with "Ketchy Shrub" following before the end of 1971. As the Wailers' international breakthrough began, Tosh had less and less time to devote to his solo career. However, a few singles did arrive during 1972, including "No Mercy" and "Can't Blame the Youth." More followed in 1973, among them "Mark of the Beast," "Foundation," "What You Gonna Do," and a re-recording of "Pound Get a Blow," originally a single released by the Wailers back in 1968. At the end of the Wailers' 1973 U.K. tour, Livingston announced he would no longer tour outside of Jamaica with the band. The group initially carried on without him, completing a tour of the States, then a second tour of Britain. Tensions were already high between Tosh and Marley, and the situation finally came to a head on November 30, in Northampton. It ended with a punch up and Tosh quitting the band. Although the Wailers reunited six months later for a benefit show, and again in late 1975 for another benefit concert, the group itself was now defunct, and the Wailers went their separate ways. Tosh's first post-Wailers solo single, "Brand New Secondhand," was a new version of a song initially recorded by the Wailers for Lee Perry. However, it was Tosh's follow-up, "Legalize It," that packed the greatest punch and swiftly becoming a ganja anthem even though the single was slapped with a radio ban. In 1975, Tosh signed to the Columbia label in the U.S., and began work on his first solo album. Sessions were held in Kingston at Treasure Isle studio, Miami, and even in Tulsa, OK. A number of the tracks were new versions of old songs, including "Burial" and "Ketchy Shuby." The resulting album, Legalize It, arrived in 1976 to acclaim both at home and abroad. With interest running high, Tosh set off on tour, accompanied by a band comprised of the Sly & Robbie rhythm section, keyboardists Earl "Wire" Lindo and Errol "Tarzan" Nelson, and guitarists Donald Kinsey and American Al Anderson. Sony/Legacy's Live & Dangerous album captured one of the band's steaming shows in Boston during this tour. Like Marley, Tosh was moving effortlessly into a hybrid style that paid homage to American rock, but was still shot through with strong Jamaican roots. However, Tosh's lyrical vision was much darker than his former bandmate's. Love always ended in tears, as on "Why Must I Cry" and the country & western-tinged "Til Your Well Runs Dry," both updated Wailers' numbers; while "Burial," ostensibly about a gangster but with pointed political overtones, was never going to endear him to the mass market. Tosh's follow-up album, Equal Rights, was even more uncompromising. Recording began just a few months after its predecessor was completed and again featured the deep dread rhythms of Sly & Robbie, Earl Lindo's atmospheric keyboards, and Anderson's funky rock guitar, amongst a host of other guest Jamaican session men. Bunny Livingston also joined his former bandmate on backing vocals; Tosh himself had guest starred on Livingston's own solo album, 1976's Black Man Heart. More focused than Legalize It, Equal Rights revolved around the themes of the plight of blacks around the world, and particularly in South Africa and Rhodesia. A new version of "Downpressor Man," the original cut coming with Lee Perry earlier in the decade, was turned into a dread classic. However, the most seminal tracks were the new songs -- the anthemic "Get Up, Stand Up," the menacing rocker "Stepping Razor," and the artist's personal manifesto, "Equal Rights." This was to be Tosh's final album for Columbia. In Jamaica, events were spinning out of control, politically inspired violence was rampant, and gang warfare had reached a level so extreme that a rogue army unit decided to put a permanent end to the combatants. In late 1977, they gunned down ten members of the Skull gang, whose members were mostly Rastafarians, killing five. This event, known as the Green Bay Massacre, so shocked the island that, for a brief moment, the gangs put aside their differences and called a truce. The One Love Peace Concert was organized to help cement this cessation of violence with a billing headed by Marley, who returned to the island for the show. The concert was held on April 22, 1978, and Tosh was slated to appear right before his former bandmate. His performance was captured for posterity on the Live at the One Love Peace Concert released in 2001. Tosh's set comprised his most militant numbers -- "400 Years," "Stepping Razor," "Burial," "Equal Rights,""Legalize It," and "Get Up, Stand Up," and if that was not enough, between songs he spoke at length in a series of uncompromising speeches that scathingly attacked the government, the opposition, and the concept of peace itself. Although the audience appreciated his words, the government and the press did not, and the Jamaican papers the next day were filled with rabid condemnations. The singer, however, remained unrepentant. Tosh's performance had also impressed visiting British rock star Mick Jagger, who'd been backstage that night. 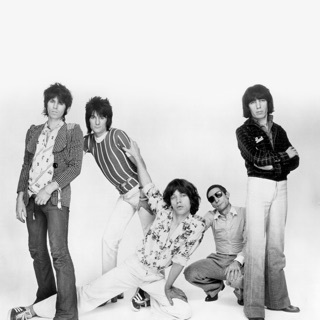 The Jamaican now signed to the Rolling Stones' own label, and that summer toured the States opening for the band. The two singers joined forces on a cover of the Temptations "(You Gotta Walk And) Don't Look Back," a song Tosh had previously recorded with the Wailers. Tosh would also briefly unite with Marley during the latter's Burbank, CA, concert for a show-stopping "Get Up Stand Up." Back in Jamaica that autumn, Tosh was arrested for drug possession, taken to jail, and beaten so badly he required 30 stitches to close the gaping wounds in his cracked skull. Even with these severe injuries, the artist began work on his next album, Bush Doctor, co-produced with Robbie Shakespeare. A much more "Jamaican" album than its predecessors, the record featured the exquisite Tamlins on backing vocals, and some of the island's top session men, led of course by Sly & Robbie, but boasting Keith Richards' seminal guitar on two tracks. Musically, the album may have sounded less dread, but new versions of "I'm the Toughest" and "Dem Ha Fe Get a Beaten" suggested that Tosh wasn't going soft. However, thematically Bush Doctor was less a cultural album than a religious one. 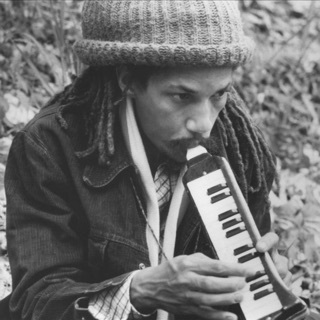 Mystic Man arrived in 1979, and again featured a lighter touch, although songs like "Rumours of War" and "Jah Seh No" were as tough as anything Tosh had offered up in the past. The year also saw the release of the wittily titled "Buk-In-Hamm Palace" single and a re-recorded "Stepping Razor" for the soundtrack for the legendary film Rockers. The highlight of 1980 was a spectacular appearance at Reggae Sunsplash, and the year also brought the excellent "Bombo Klaat" single, a Jamaican-only single released on Tosh's revived Intel Diplo HIM label. A duet with Gwen Guthrie, "Nothing but Love," was offered up to the rest of the world. The slowing output was deliberate as Tosh needed the time off to continue his recovery from the beating he'd received at the hands of the police. However, he returned with a vengeance in 1981, releasing the Wanted Dread & Alive album, which shot into the lower reaches of the U.S. chart, and toured both the U.S. and Europe. After all that activity, the artist took the next year off, returning in 1983, with a phenomenal cover of "Johnny B. Goode" which landed in the lower reaches of the U.S. Top 50. The single was a taster for his new album, Mama Africa, which also arrived that year. Another tour followed, including a concert in Swaziland and headlining appearances at the Reggae Superjam festival in Kingston. Captured Live, released the following year, was recorded during these tours. Tosh then disappeared off the musical map for the next three years, and it wasn't until 1987 that a new single, "In My Song," arrived. In September, it was joined by the album No Nuclear War.